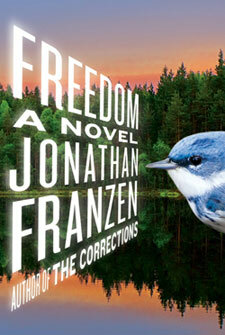 Last week I started listening to Freedom by Jonanthan Franzen on the way to work. I’m a few disks away from finishing (so don’t ruin anything for me!) but let me tell you, I am in love. It seems to capture human experiences and emotions in a way that seems more real to me then anything else I’ve read, even my own diary. The characters are flawed, interesting, and believable. The plot is intricate without being heavy handed. In fact I would recommend you all read it, except for the fact that you probably already have. I can’t help wondering why I didn’t read this book back in 2010 when it climbed the best sellers list and it seemed like everyone was talking about it. I am trying to find people who will discuss the book with – but the message thus far has been clear, the rest of the world has moved on. 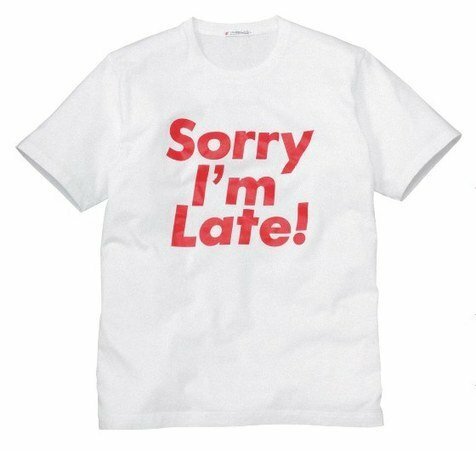 I am a consummate late adopter. I don’t know if I am just contrary, or consistently out of the loop – but somehow I’m always behind the trends in movies, music, and especially in books. I didn’t even start texting until 2008. Something hits the scene and somehow everyone around me has read/heard/watched it. My friends are talking about it in hushed tones, trying not to give away endings. Blogs and magazines feature interviews with the author and strong love/hate opinions. From Hunger Games to Inception to the Twilight Series (oh and The Office and Taylor Swift) I am completely out of the loop and then once I finally get around to reading/seeing/listening I am the biggest fan of all. I don’t know…maybe because it feels like everyone has moved on my ardor only grows. Not to say that anyone has moved on by the Hunger Games or Twilight, as evidenced by the recent Robert Pattinson and Kristen Stewart debacle, or the internet quest to figure out who will play Finnick in the next Hunger Games movie. Who else has had similar experiences? What are some things you’ve been late in adopting and ended up loving? This entry was posted in Uncategorized and tagged books, Freedom, Hunger Games, Twilight by Alison Doherty. Bookmark the permalink. Oh thanks Lily. I will make sure to check it out. Be assured the feeling is entirely mutual. I loved this book too! I read it last year, but I’ll happily keep talking about it. It was the first Franzen I’d read and I quickly picked up The Corrections and a couple of others, but Freedom still stands out as a truly gorgeous account of suburban melancholia. In a way I felt it was a really meandering, kinda slow and philosophical book, but there wasn’t a single page that I wasn’t fully engaged by and I just think that’s such an amazing thing. Finally, someone I can chat with! I finished the book this afternoon. Suburban melancholia is such a good descriptor. The characters and the situations felt complicated, interesting and ver real all at the same time. I was never bored. I haven’t read The Corrections yet, but will be picking it up shortly. Personally, I’d leave a break. I had such high expectations of The Corrections after Freedom and it was a bit disappointing. I don’t think it was the book’s fault, but I picked it up wanting to enter the same world and it wasn’t quite there.